Rub the chicken pieces with brown sugar. In a large pan, fry the chicken quickly in hot oil (the sugar must not burn). When browned, remove to a dish. Sauté the onions and garlic in oil until soft. Add the capsicums, tomato paste, raisins, curry powder, chicken stock, bay leaf, salt, black pepper and parsley. Simmer for about 5 minutes. Pour the sauce mixture over the chicken, cover and let cook until tender. 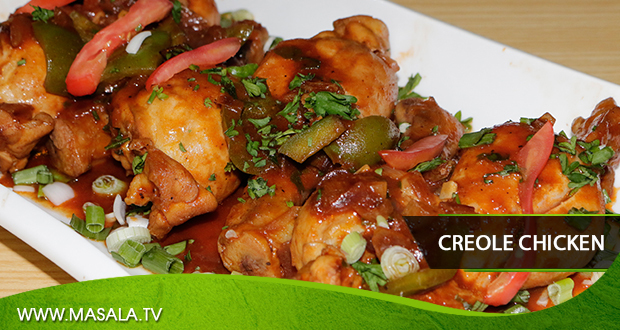 Creole Chicken is ready to serve.